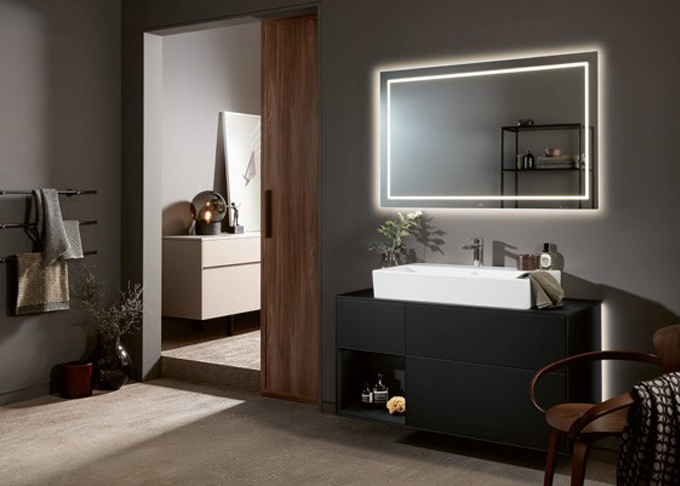 The inviting minimalism of the Memento 2.0 range from Villeroy and Boch is cleverly created thanks to the use of the high quality material it’s made from – TitanCeram ceramic. 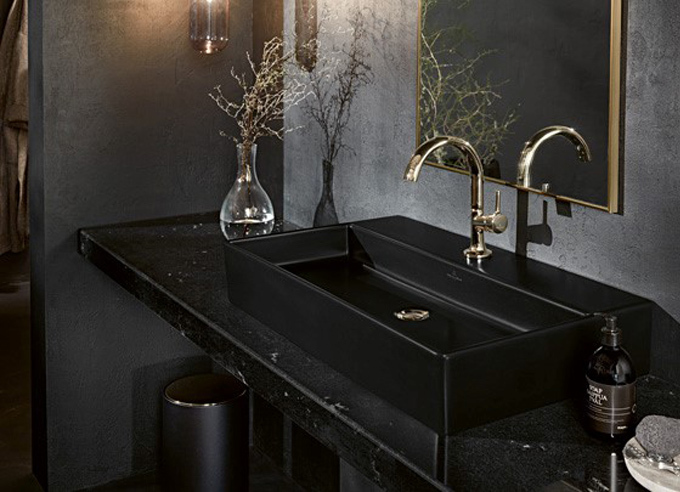 Low wall thickness and precise contours are achieved thanks to this highly durable, extremely strong material that lends its resilience to creating definition and lightness in this exceptional range from Villeroy and Boch. The slender design creates a refined aesthetic that oozes an urban trendiness while maintaining a simply sophisticated functionality. The consistently linear appearance is customisable in a range of classic ceramic colours, such as White Alpin, Star White and Glossy Black, or a TitanGlaze surface in matte colours such as Stone White, Ebony and Graphite. These matte tones are currently very on trend and can be carried through from wash basin to WC and bidet. 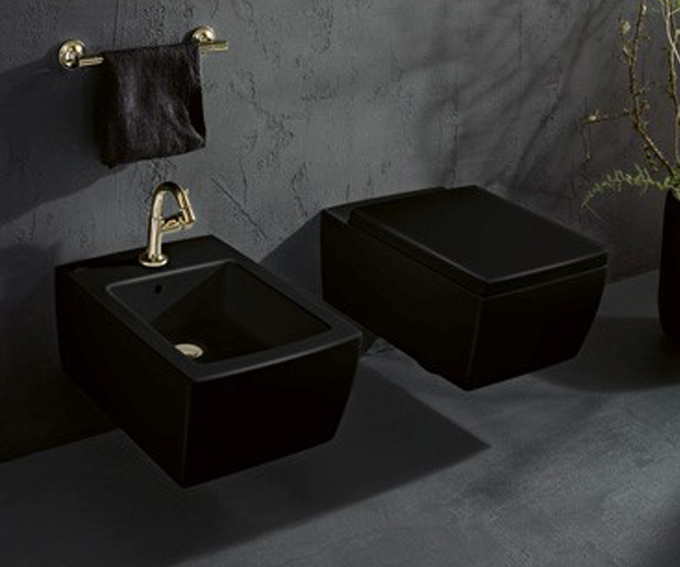 The WC and bidet from the Memento 2.0 collection continue the refined linear design from the wash basin. The stylish slim lines and thin edges create the same striking aesthetic, while functionality is formed into elegant objects of design. Innovative design implements water saving functions, meaning the toilet offers the perfect efficient, effect flush thanks to Direct Flush and Aqua Reduct technology. For a bathroom project design consultation, please contract our in house design team to make your showroom appointment . This entry was posted in Luxury Developments, New Products and tagged Ascot Villeroy & Boch Bathroom Design, Contract Bathroom Design, High End Bathroom Design, Memento 2.0 collection, Villeroy & Boch Bathroom Design, Villeroy & Boch Bathrooms Beaconsfield, Villeroy & Boch Bathrooms Gerrards Cross, Villeroy & Boch Bathrooms Henley, Villeroy & Boch Bathrooms Maidenhead, Villeroy & Boch Bathrooms Marlow, Villeroy & Boch Memento 2.0, Villeroy and Boch, Windsor Villeroy & Boch Bathroom Design. Bookmark the permalink.